The magic really does come through the doing. The best part about this is that the ‘doing’ doesn’t necessarily mean ‘doing the work’. I spent this weekend up at my parent’s house. They live about two hours Northeast of me and it feels like a different world. It really is my happy place. They’re about an hour away from Lake Tahoe and it feels like Tahoe (on a much smaller scale and no lake 😉 ). My parents are down in the Bay Area quite a bit, so it’s not like I don’t see them often. I head up to their place when I want to unplug a little, soak in some mountain air and spend time with them. My kids love it up there and now my dogs do too. The benefit of bringing the dogs is that I have to take them out for walks frequently since their property isn’t fenced in (and waking up to a family of deer in the backyard is a common occurrence, not sure how the dogs would do if they ran into a deer). I was feeling a little ‘niggly’ heading up there because I had sent a final invoice to one of the last two website projects I’m wrapping up a week prior with zero acknowledgment from the client (another bonus to getting out of website work, no more invoicing!). Since I use MixMax for Gmail so I knew the client had read the emails a couple times (the initial email and the follow-up email). No response. All is well now, but the stories I was making up in my head were wearing me out. I needed to shut the noise down. The things we do to ourselves, right? Here’s the magic that happened this weekend for me. First, I published part 2 of my ‘Conversations with Kim’ podcast episode with Gordan (my partner with LeadSurveys). I was late publishing it for a couple reasons but knew it needed to get done. I mentioned previously that I’m simply using the transcripts of the ‘Conversations with Kim’ episodes as the post content. I’ll be tweaking them as I do more, but this is where I’m starting. The transcripts are thousands of words (the first episode was over 9900 words, the second episode hit over 10,000 words). I do the transcripts through Trint so I listen as I edit (not editing for grammar, just correct transcription). I finally discovered the 1.5x speed option so it goes a little quicker, but it’s still a LOT of content to go through. But guess what happens when I listen as I edit? It reminds me why I’m doing what I’m doing and brings me to the present moment (i.e., I get out of my head and stop making up stories). In this case, it was simply appreciation for Gordan, LeadSurveys and the project in general. Appreciation for the process is a game changer my friends. That’s how I’ve felt with my Content Strategy course. Talk about a great group of people! I’m excited to drill down further with them as I revamp the course and tweak things. It’s also been a huge validator for what I know in my gut works. Creating valuable content and connecting with people. Which is why I’m stepping up my game with webinars and video (I know I keep joking about Facebook Live, but I am doing one next week with a friend… so keep your eyes peeled for that!). 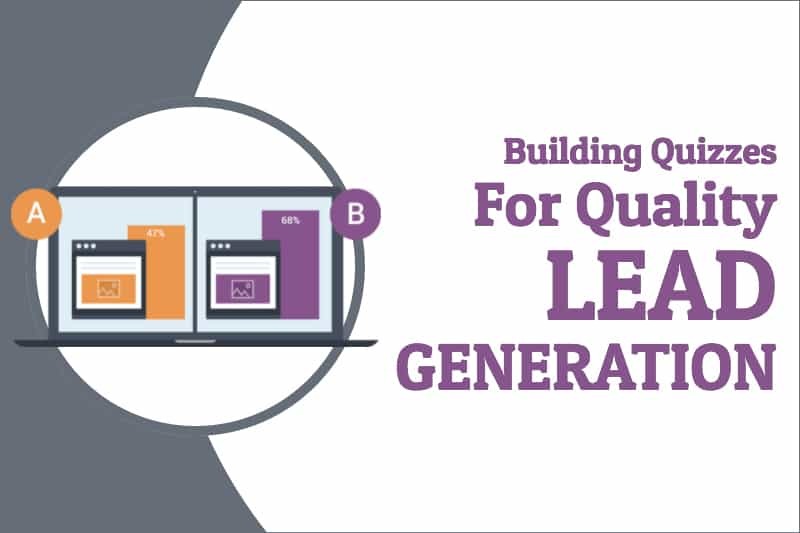 The first webinar is tomorrow, and it’s all about lead generation through quizzes! In this case, we’ll be using the brand new plugin from Thrive called ‘Thrive Quiz Builder’. I’m going to walk you through building your first quiz with the plugin (yes, you would need the plugin to create a quiz), and have some worksheets for you to download so you can plan out your quiz prior to getting into the plugin. If you’re on the fence about getting the plugin this is a perfect way to see behind the scenes to determine if it’s a good fit for you. It will definitely be interactive as well, so come ready to connect! There are no dumb questions. The webinar is tomorrow at 11am PST (register for the replay even if you can’t attend live).